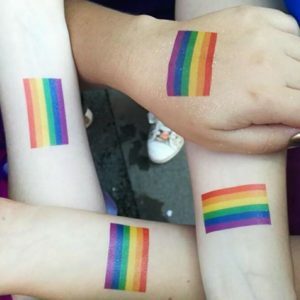 Reading Pride 2018 was bigger and better than ever! 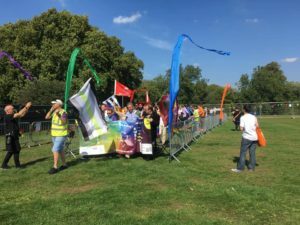 On Saturday 1st September, No5 staff, Young Ambassadors and volunteers took part in the Pride celebrations at King’s Meadow. 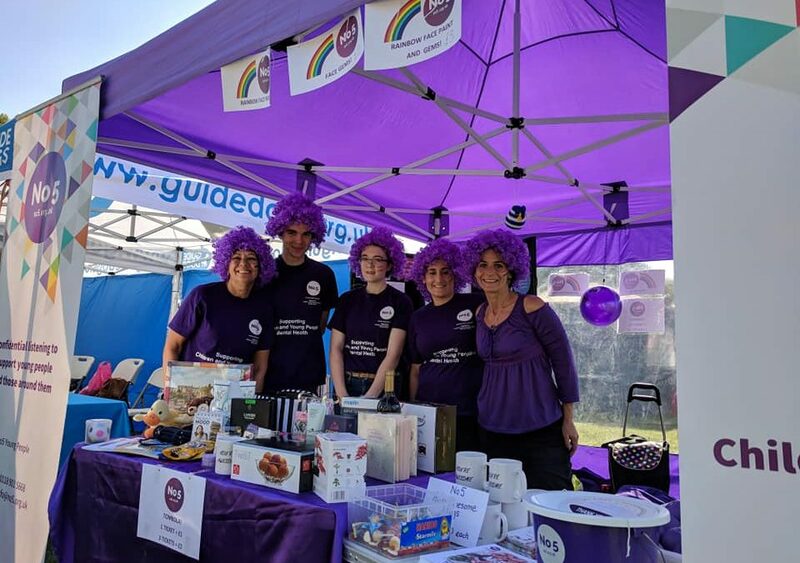 Pride was even bigger and better this year with many more charities and organisations showing their support. 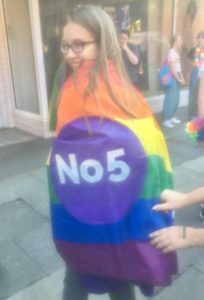 Some of our Young Ambassadors took part in the parade adorned in their rainbow No5 flags! 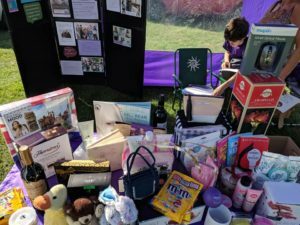 At the No5 stall we had a tombola, rainbow face painting and face gems which raised £130 to help us to continue to support the mental health of Reading’s children and young people! 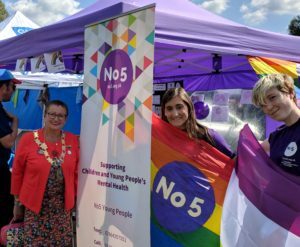 It was lovely to see the Mayor of Reading, Cllr Debs Edwards, there supporting Pride and she came over to show her support for the work that we do! 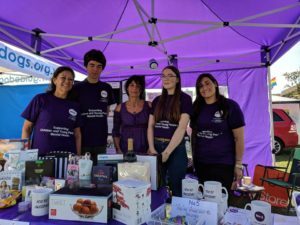 A huge ‘thank you’ to our Young Ambassadors and volunteers for helping out on the day, you’re awesome!